Q: If you don’t offer a certification, do your courses offer something to verify the experience and skills gained? I answered YOUR questions at the bottom! Thanks for asking! 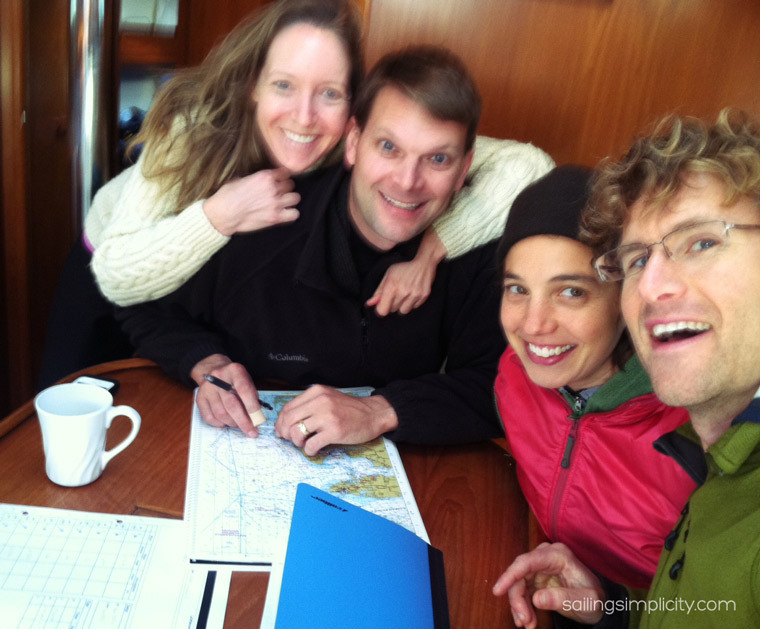 Q: Do you offer sailing certifications? There are several organizations that offer sailing certifications. I am most familiar with US Sailing (USS) and American Sailing Association (ASA). I have either taken a certification course, become a certified instructor, and worked for several of these certifying programs—all of which I did before the age of 19. I was signing certificates for my students when I was only 18 – years before I truly felt like I understood sailing! The great thing about organizations like ASA and USS is that there are standards of quality and curriculum on which students can rely. If you choose to go with an independent organization, like ours, you draw more of a wild card. 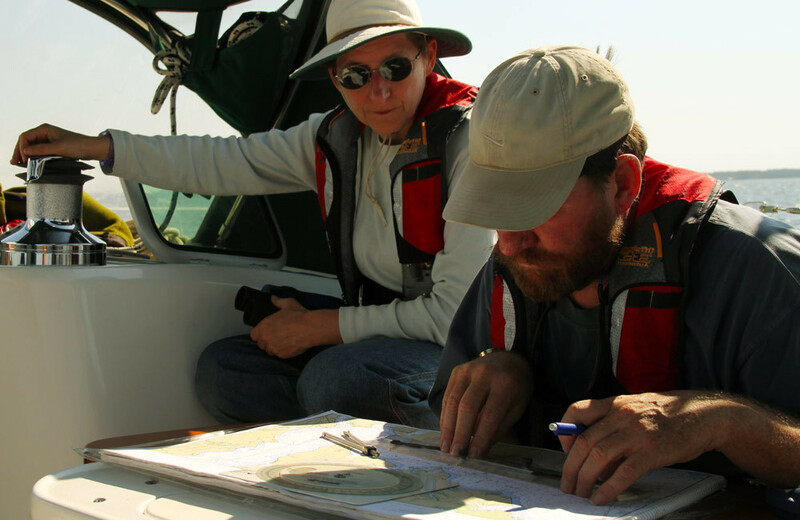 You have to do your own research to know if you will be receiving quality instruction from an experienced sailor. There is substantial cost to becoming a certifying program. That cost would be passed on to our students. But it wasn’t only about money! The cost wasn’t a deciding factor at all actually. We do not think it would add any value to our course. Whats more, we actually feel that it will decrease the value and quality of our program. Also…we didn’t want people paying extra for something we didn’t find significant value in. We felt that the standardized curriculum was limiting. Each student makes progress at different levels and not everyone fits well into a pre-determined program. Additionally, if a student’s ability surpasses the prescribed curriculum, we are prepared to offer them a more challenging expedition. Our research has determined there is no significant benefit to having a sailing certification. Apart from the education received, there are no real measurable benefits to having a recreational vessel certification. We have had several potential students say they wanted a ‘sailing certification course’ in order to make them eligible for discounts on bareboat charters and/or boat insurance. Not wanting to miss out on a good thing, we thought we ought to do some research, and find out what the scoop was on all these discounts! Do I need a certification to charter a boat? Will I get a discount if I’m a certified keelboat sailor? Will I get a discount if I have a keelboat sailing certification? Q: What are the benefits of taking a certification course? A: A sailor benefits from taking a quality course, regardless of certification. Admittedly, I didn’t know what the specific, post course benefits were of taking a certification course. So I wrote to ASA and US Sailing and asked them, “What benefits do I get after I take your course.” Neither company answered my question. Instead, they sent me their course schedule and a standardized reply. You can count on Ben and I to send you a personalized reply, and with most of our students we even schedule a phone call first…or several if needed! Ben and I do have a lot of respect for many programs that offer certification. I was 16 when I earned my first certification. I liked my instructor and learned a lot from her. However, programs like that are like the Applebees of sail training. The food is decent and consistently taste the same at any Applebees anywhere. I always know there will be a meal on the menu that will satisfy. 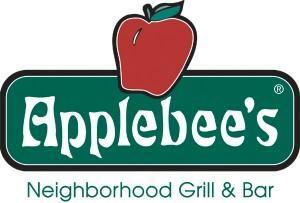 But by going to Applebees, I just might miss out on a fabulous meal prepared by a brilliant chef at the local treasure. 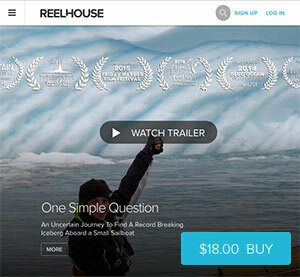 Q: Will you offer sailing certifications in the future? We aren’t ruling it out. But at this time we simply intend to offer quality courses with a curriculum that is specifically tailored to our student’s ability, goals, and learning style. A: A sailing resume is just like a job resume! It lists the boats you’ve sailed on, what position you were, how many days, the waters, how far offshore, and number of hours per day. Q: Do your courses offer something to verify the experience and skills gained? I am very interested in your sailing courses. I have a BCC but have never had enough hands on to feel comfortable. I have taken ASA courses years ago and agree with your comments about certification. Great! Send me an email and we will see if we can get you out on a course! My father and I have ASA 101, 103, 104, 105, and 106 (all taken in the last 2 years) and really don’t think they are a huge benefit. We took two one week training courses to achieve all 5 certifications and while it’s helpful to learn a broad range of topics, the ASA courses really need a major overhaul. The books are out of date and don’t contain all the needed information for the tests. The tests themselves are flawed, poor wording, questions on the test not covered in the book/course, incorrect question details which lead you to a different answer than the key says if right (especially in the 105 course). 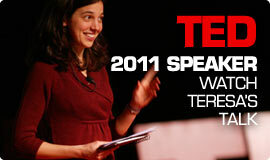 I am hoping to join Teresa and Ben for the August 9th course if I can work out the finances. We hope so too Sean! Would you be taking the course with your father or coming alone? Thanks for posting this info…it answered a lot of my questions about sailing certifications, the perceived benefits of such, etc. Awesome Joe. We specialize in couples! People often find that they get better communication skills and ability to cooperate and trust their spouse from our courses. It wasn’t intended, but we just naturally teach that way! There is also a discount if you come with a partner or spouse! Let me know which course you are interested in, and we’ll make it happen! Hi Teresa. Thanks for this post. My husband (a more experienced sailor than I) and Ii have been having a debate similar to this about classroom courses vs. reading/learning some things yourself. I took a Power Squadron course in Piloting this winter. Gruelling and uninspiring I’m afraid, but i am more able to pull out the charts and identify where we are without GPS than I probably would have been. It’s been my understanding that at least one of us should have an ABC boating safety course/card, so I was considering taking that test through the USPS as well, just to get the card. This is my second season on an H28 and we’ve done some charters, so I don’t think passing is the issue, but I’m questioning the need, money, etc. thoughts? On a different note, I would love to join you at some point to improve my independence/confidence/skills. I don’t think having spouse be the sole teacher is a good plan! If not this season, then I may see where you are in the winter. We may see you out there this season. We’re heading fron CT shores to RI and Cape in a couple of weeks. Thanks for this post. This is a very interesting topic. Personally I learned how to sail many years ago at Annapolis sailing school, an established and recognized sailing school, at least locally and at the time, but not affiliated with any of the programs you mention. That was a good choice to start I think. I then added some practice with friends who owned boats and took courses and exams in France and then Spain where I was located because simply these titles are mandatory. I found them short on practice and long in theory, so I took one on one classes with a teacher in France to be able to sail solo, and crewed on a yacht for a delivery from the UK to Portugal to experience offshore cruising and overnight sailing. After a long interruption I skippered a friend’s yacht for coastal cruising in Greece and Turkey, 3 months in 2012 and 2 months in 2013. This last experience showed me I needed to complete my education on boat systems so this year will be about engine courses, electricity on board, electronics, etc. all practical hands on courses. And then I still need practice in rough weather sailing. Is there an end? I want to retire on a cruising boat and will need to bring my wife up to par for it, that will be another challenge…. I am writing this to say I love your approach as I found that all the packaged courses I took ( including the RYA I also tried last year) have limitations and if I had to do it again I would gladly turn to you and Ben. As it is it will take another year or two for my wife to be free of her professional obligations and ready for an offshore adventure, I’ll be in touch to check your availability and prices as I have a daughter and grand daughter in the US and come regularly, we might also invite you on board in the Mediterranean. Cheers. I totally agree with you about the value of some of these courses. As a retired teacher-librarian I recognize in you the qualities of an excellent teacher. As you say it is essential to find out where a student is in their learning and personalize the educational experience. From what I can tell this is what you and Ben are doing… and doing it extremely well. I learned from a personalized curriculum that was taught by my now co-cap, Bill. We are now circumnavigating and after having read many books, learned significant lessons from Bill, sailed in all sorts of conditions and now experienced extensive offshore sailing (having sailed across the Pacific and last year sailing from New Zealand to South Africa) both of us continue to learn. Good luck in all of this. I’m confident that your courses will be sold out with a waiting list very soon! I want to say yet again how amazing you both are as sailors and sailing instructors! Fred and I both learned SO much — both technical sailing skills and the no-less-critical “soft” skills, ie communication and conflict resolution — on our training delivery with you from FL to RI in May 2013. With an asymmetry in sailing experience between partners (Fred having more than I), with lake sailing experience but not coastal and offshore, and with it being very important to me that I be fully capable on the boat in my own right, the hands-on training we received with lessons tailored to our gaps versus what we already knew was exactly what we needed. Many of the practices that we learned on that trip, such as Captain of the Day and Morning Muster, are now our standard. Plus – we had fun!!! Very interesting, and most timely. Experience levels can always be improved! It is VERY interesting that the training supplied by these organizations carries no weight when it comes to the logical application thereof: Renting anything appreciable.This says a lot about “accreditation”, no? Apparently a huge zippo. I am reminded of the “time at sea” form that CAN be filled in by a boat owner to document experience toward the “six-pax” undocumented vessel. Now THAT carries weight. Point number two is this: I’ve spent a bit of time surrounded by government published forms related to navigation, regulation, documentation of standards, etc., and it may be worth mentioning that lots of textbook companies seem to camp directly underneath the Government Printing Office. They then re-produce what is available essentially for free, in a more convenient form to access (selected portions) and then make their money from this rendering what is freely available to all. If CFR 33 is where lots of it comes from then how about making that the academic focus, not someone’s private rendering thereof, with selected portions only? Ok, I quit. It seems like ASA, USS “sailing schools” are in a bit of a similar position? No harm done, but WOW the fact that it is practically meaningless is shocking. As you have stated more or less, no paper test can amount to EXPERIENCE. FACT! Getting training from the two of you would do more than I dare say ANY classroom with an attendance roster, a simple quiz (likely constructed from a statistical formulation of minimal inquisition to subject matter retention’s proof) geared for the masses (not where any given learner is at any given time)? This is revealing. Not that any teacher has it all. A glass framed certification cannot be used in gale force winds, nor petitioned against 14 waterspouts, eh? –“In the name of ASA, I command you to disappear!” –Survey says: “Splat”. Only then can you realize what you’re made of, and pull from previous experience? It takes a lot of immersive time to gain the elusive experience. There are no short cuts. The two of you know CLEARLY where the “guard rails”, er, “buoys” (LIMITS) are in MANY situations: I’m talking about the limits that are NOT seen so easily, nor easily referenced, categorized or indexed. Clearly you are circumspect, I’m convinced. Communicating this to anyone who is seeking to expand their knowledge is something SO MUCH BETTER by BEING THERE. Great Tutors like you two are life (and property) savers. Never doubt it. I just started sailing this spring – I’ve crewed a friend’s 63 footer multiple times on daysails, and I now have a 13′ Chrysler Pirateer which I daysail almost every weekend (it’s addicting!). Awesome article… course work and certs might be a must for some folks who never had any other exposure but your article nails it…. there is no substitute for hands on custom tutoring from motivated and experienced crew like yourselves. I would say its just as important (if not more so) for casual boaters and beginners to take a state boater safety course (Florida has an excellent one) as a low-budget certification that will pay off for years especially considering that most people with only casual sea time or no hazardous duty (military, etc.) do not have a real safety mindset. Sailing has been a casual sport in my family for generations and I built my own 10′ sailing pram when I was 22 without knowing much terminology but knowing the feel of how to sail. My first and only formal instruction came after that on the English Channel in force 5-6 and frankly the guy didn’t have much time or patience and hated me by the time we got done. I have sailed a good bit since then and am much more concerned about preparedness when I go out than my resume. Thank you! I’ve been wondering this very thing for a few weeks now. I haven’t taken any formal sailing lessons, just been going out on boats as much as possible. I was considering getting a certification because someone told me I won’t be able to charter boats without one. Thanks for doing the leg work, looks like I’m going to add a few more things to track on my sailing resume and I’ll be set! I retired from the Army and I am going to buy a Sail boat and sail the Bahamas for the winter… I currently race on an A Scow. Built by Buddy Melges… I also have sailed J boats and Keels… I just wanted to let you know that I enjoyed your videos very much… Hope to see you around the Islands some day…. I also would like to sail around the globe… Happy sailing… A few of my friends have sailed the world…Not sure if you have ever seen the movie the Ultimate ride A-Scows I race with Crazy Leo… I am the Number 2 or number 3 on the crew…. Great Article and just what I was looking for. I actually just met a German guy who was biking from Germany to Japan and happen to stay at my house in Japan via Couch Surfing. Besides being a long distance biker, he is an avid sailor and really motivated me to try sailing. He directed me to Crewbay and Findacrew.net to find some sailing opportunities. Having no experience, I thought it would better if I got a certification to at least show some type of “formal sailing education.” After reading your article it seems like actual hours in the water are what really matter and I’m going to direct my search towards finding some type of “on the water training” besides the two day certification courses. Out of curiosity: What trainings do you offer? Wo do offer training! Thanks for asking. Our website is http://www.morsealpha.com. We also offer private charters with a captain and cook. They can be sail training or vacation charters. Let me know what interests you. Just to echo what Teresa said about practical training vs formal sail training in the eyes of charter companies. My family and I have done three long charters in the Carribean over the last year and a half. Only formal boat training I had was in 1981 when I was 11 to pass USCG safe boat class. All the charter company needed was my sailing experience. They did have me do a two hour shakedown sail with one of their skippers to go over anchoring a catamaran, tacking a catamaran, and to ensure that I generally knew what I was doing. Real experience will teach you lasting sailing skills. Hi, I have followed your blog for some time now, truly love it and what you both do, inspiring. I have long thought about how to best gain experience and knowledge in sailing and cruising. I have taken a few power squadron courses etc. to learn the basics in the beginning, but have found that through reading and hands on you will better digest the information, the light bulb will finally brighten if you will. I am currently on my 4th boat, and spent much of the last year doing a refit, she’s 36′ and that’s a lot of maintenance. My plan is to retire on board at least for part of each year. I am currently single handing so there is much to learn. I’d love to take one of your courses, just need to save a few boat dollars for that purpose. Interesting info on the ASA and uss courses. Keep up the great work and I hope to meet you both in the future. As a long time ASA instructor and instructor evaluator I am in general agreement with you. Unless you are a school, acquiring affiliation is of no value. I do think that affiliating yourselves with an ASA facility would be a benefit. The ASA and USSA standards are good minimums and help frame the education for so many students. There is absolutely no substitute for sailing time with experienced sailors. Anyone trying to go from amateur to competent should consider time with you, learn from your experiences. Keep up the good work. I hope you are busy as can be. Hello, there are a lot of really good comments and thoughts. I agree no certification is necessary to offer training in good seamanship, the basic sailing skills or even more advanced training. In Canada for example new regulations by Transport Canada require boats & their crew to be commercially licensed if a school/training facility offers training for money. To become a commercial operator is very difficult. Transport Canada introduced a Recreational Boating Standard reducing some of the commercial requirements. Following curriculm estalished by a recognized national authorothy will make this an easier process for schools to qualify under the new rules. In Europe many charter companies now require the ICC (International Certificate of Competence). This certifcate can only be issued by a few certifcation bodies such as the RYA or IYT. If you have not gone through RYA or IYT there are crossover programs from ASA for example making this a relatively easy process. If you have no recognized certification, this will be harder as you would have to go “back to school” with a recognized certifcation body (Usually a day on the water and writing of an exam). I agree many schools may fly under the radar and even though they are running a program under ASA, CYA or other do not offer quality training. However, I see a move pushed largely by government bodies (Transport Canada in Canada, MCAs in Europe & the Carribbean) to force sailing schools to become more commercial operations: I.e. produce school manuals on quality control, emergency procedures, course curriculum. Definde mandatory carriage requirments on boats such as life rafts, emergency response & safety equipment. This poses a huge burdon for individiual schools to comply with. National Sailing organizations can and do help in producing some of this material for schools and offer guidance. I would be happy to discuss any of this or answer any questions you may have. In the US to operate a commercial vessel (one with paying passengers as you mentioned, or other criteria) you also need a Coast Guard licensed captain. Both Ben and I are licensed and have worked aboard commercial vessels for a long time, so we know the drill. 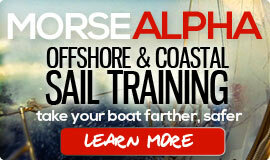 However, for most ASA and US Sailing Schools a coast guard license is not required for their instructors. That is because they are operating as an “un-inspected passenger vessel”. Meaning they can’t take more than 6 paying passengers and the vessel is not required to undergo inspection. For ASA and US Sailing boats that operate in the Carib the rules are different and they can take more paying passengers. For my ASA training (when I was 16) there were 12 students on my boat and no licensed captain. 12 students but not even enough bunks! I slept in a hammock or on deck! It was a crazy trip! I’m not at all against certifications. I personally would like there to be a license requirement to drive a boat (much like driving a car). However, in the US, in most states that isn’t in effect. For us, we found that becoming an ASA or US Sailing school would be an added expense without any added benefit. Yes, we did our research (and I’ve worked for both types of schools in the past). We felt we could offer more to our students without the limitations of the standardized curriculum and so far our students agree. Many of them have even taken ASA courses in the past. For RYA or certifications outside the US things may be different. I am not familiar enough with ICC or RYA to comment on that. My experience in sail-training (as a student and instructor) has been almost entirely in the US. You have made a lot of good points and things to consider when choosing a course – especially when considering one outside of the USA. Thank you for the quick response and educating me on the commercial aspects of training in the US. 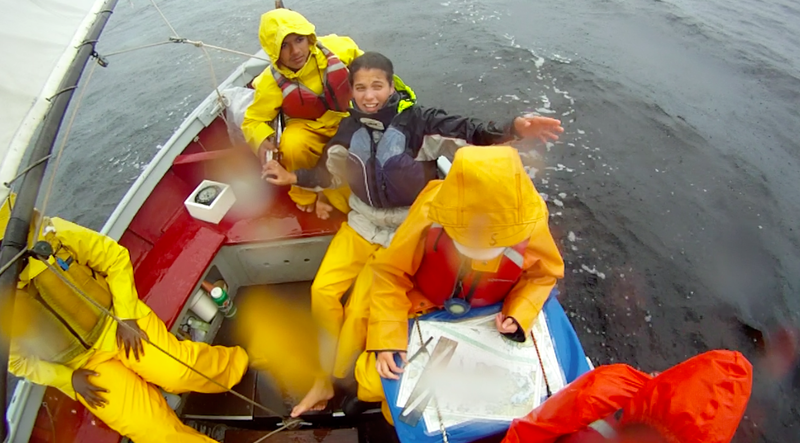 Ouch…12 students on one boat. That is crazy. I agree with you there should be a license requirements when driving a boat. Some European Countries moving towards that with the ICC. Some more info on this here for people evuentally wanting to charter outside the US (especially if going to Croatia). I don’t want to hitchhike your blog with all that information on ICC. Feel free to delete this. It has become a big thing in Canada with many people now wanting to take courses allowing them to charter in Croatia. No problem! You aren’t hitchiking my blog. It is meant to be a conversation that we can all learn from. I never delete comments, unless they come from a fake email or use excessive vulgar language. I see that your email is legit! As is your sailing biz! And you’ve provided some great info. Most of the info you are providing isn’t relevant to my audience, who will sail and charter primarily in the US or Carib. However, its still good info to consider! Tell me, how did you find this blog post? Are you a regular reader, a google search, or email? I’m curious. I was looking at your blog before and quite liked it. Today was looking in the web for sailing blogs with a focus on “training”. That’s when I came across your blog again. I believe there is much that can me improved in sailing instruction and share my opinion on these. I think you hit the nail on the head when you said you would like to see a license requirment much like when driving a car. Of course we don’t want to take the sense of “freedome” and adventure out of sailing, but at the same time would like to be save on the water. Insurance companies in Canada recently started forcing new boat owners to take a miniumum of 50 hrs of instruction after buying a new boat. I am looking forward to keep reading more on your blog about your sailing adventures! I love reading you blog, and once in a while I revisit some of your older posts. I have a perspective on this one that I hope you will find interesting. Just like various professional certifications, Sailing Certification usefulness is really what you want to get out of it. Some employers want to see you have this or that certificate, and some cruising areas require you to have this or that level of certificate or documented competency. What a certificate does is set a _baseline standard_ of competency. The certificate says metaphorically…”I know at least this much”. I personally am chasing all the ASA certificates because I wish to open a sailing summer camp aboard a schooner. The certs allow me to demonstrate I have a standard level of competency to those parents who would want that bit of added assurance. I also am looking to partner with ASA as an instructor so I can teach sailing to these kids and give them recognized certificates for it, and perhaps be able to captain a cruise for their family next year or whatever. Additionally, there are no sailing schools in my area offering any of the advanced tickets. I’d like to be able to offer those, and the best way to do that is to be a certified instructor who has received the certificates myself. Of course, I am working on getting my Cpt license at the same time so I can have paying passengers. So yeah after sailing nearly all my life (well at least before and after being married), I am taking ASA 101 in one month. My girlfriend doesn’t have any sailing experience is taking it too, and it will be fun to watch her learn to sail with confidence. Also, will you and Ben be at this year’s wooden boat show in Mystic?